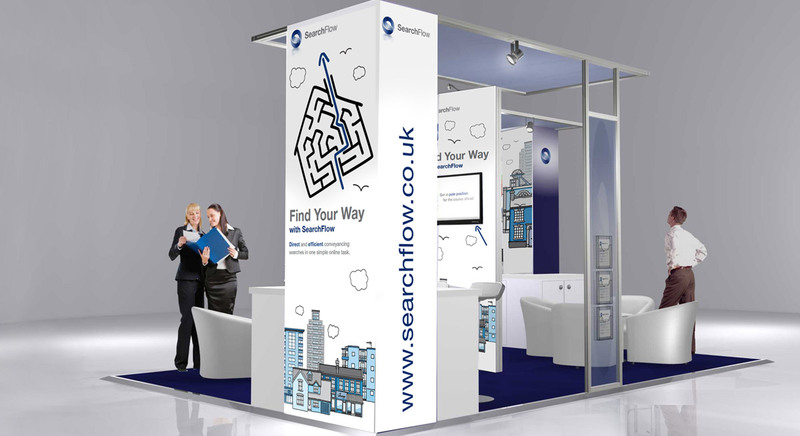 SearchFlow is the leading electronic conveyancing search service. 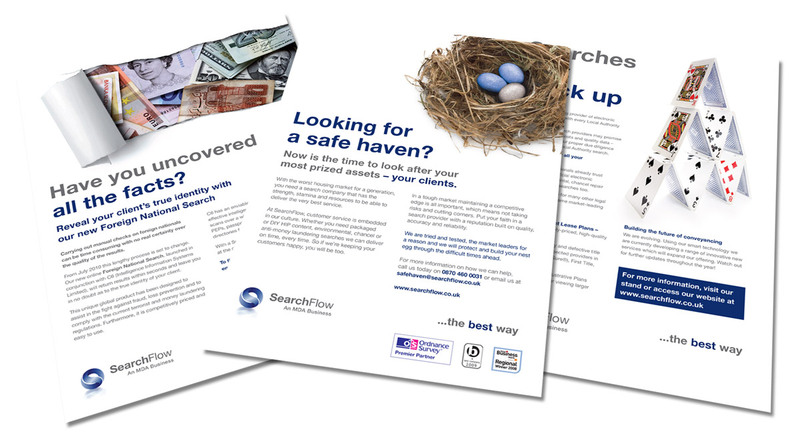 It provides a one-stop solution for sending and receiving property searches. Page Nine’s role was to work with the existing guidelines to design and produce campaigns, all marketing collateral, exhibition stands and broadcast emails. 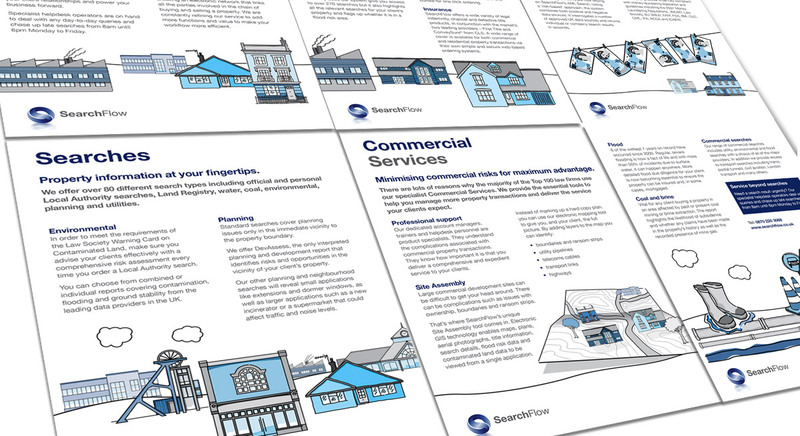 We enhanced the brand’s presence by creating a distinctive set of illustrations used across all materials.